We value and promote diversity and inclusion in all aspects of business and at all levels. Success comes from inviting and incorporating diverse perspectives. 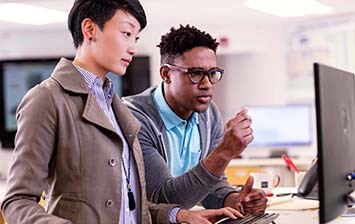 At Wells Fargo, we believe that diversity and inclusion is key to being one of the world’s great companies. It’s a business imperative that lets us take advantage of the creation and innovation that comes from multiple perspectives. It allows us to respond quickly and effectively to customer needs, and it helps us understand our customers more fully, see business opportunities in new ways, and succeed in serving the needs of all customers. 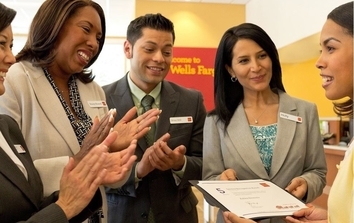 At Wells Fargo, we strive to build and sustain a diverse and inclusive culture for all Wells Fargo team members – one where they feel valued and respected for who they are as well as for the skills and experiences they bring to our company. Our goal is for the diversity of team members to reflect the diversity of the communities we serve. We need to attract, develop, and retain the best-qualified, most diverse group of team members we can find. But diversity is only part of the equation. We also want an inclusive culture that is accepting of differences and open to new ideas, which will result in better decision-making and innovative solutions that provide a competitive advantage in the marketplace. Diverse segment outreach. Our team reaches out to help us better serve and earn more business from important communities including Hispanics; Asian Americans; African Americans; LGBTQ community; women, members of the military and veterans; and people with disabilities. Diversity and inclusion councils. Lead by our CEO, and comprised of senior leaders from across our company, the councils make decisions that align with our goals and influence change. In addition to our Enterprise Council, we have councils at the regional, local, and line-of-business level. Supplier diversity. We integrate diversity into our vendor sourcing process. Diverse suppliers support economic development and create jobs in the communities we serve. Team Member Networks. All team members have the opportunity to participate in Team Member Networks (TMNs) at Wells Fargo. Team members - who are connected by a shared background, experience, or other affinity - formed these networks, and they are open to any team member. Each TMN is aligned with our company strategy and devoted to professional growth and education; community outreach; recruiting and retention; supporting business development; and customer insight. Learn more about our Team Member Networks here. We believe every team member offers something extraordinary. Our caring and supportive work environment gives our team members the opportunity to build relationships not only with each other, but with our customers as well.